The man says that those who do not remember history are doomed to repeat it. The bad news is that we’re all doomed to the repeat, whether or not we study the past. There have always been despots, there has always been genocide. The Turks slaughtered the Armenians in 1918. Hitler killed 10 million, Stalin 20 million and Mao Tse Tung 30 million. And then there was Pol Pot. 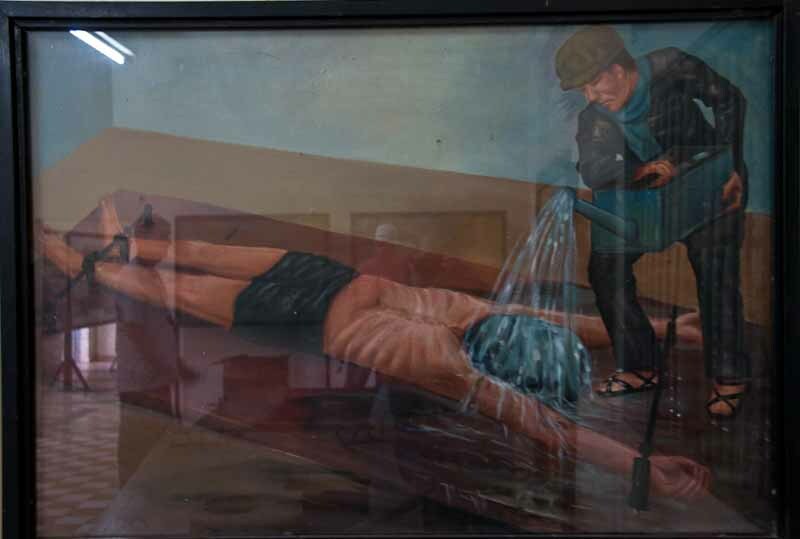 Over 1 million Cambodians, murdered by starvation, torture, execution in a 4 year rampage that destroyed the nation. 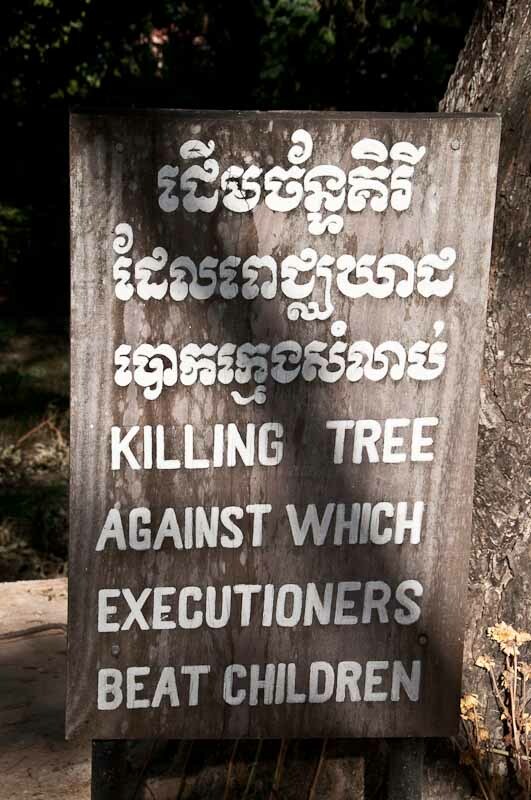 Today we visited the killing fields, or one of them. There were ~126 fields where the Khmer Rouge took prisoners for execution and burial in mass graves, and the one right near Phnom Penh has been turned into a memorial. It’s an important stop on the tourist circuit. 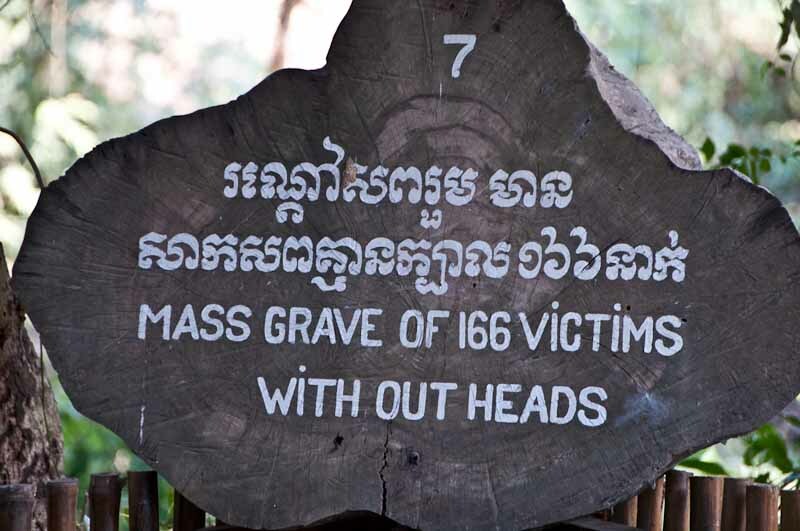 The doomed were brought here in trucks, made to dig their own mass grave, then killed, often by having their heads bashed in (ammunition is expensive). Babies were smashed against a tree. It isn’t a pretty place. 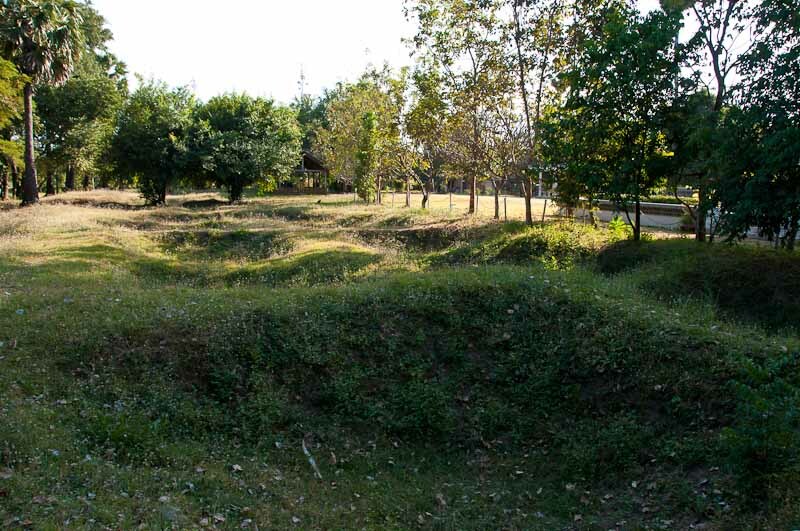 Some of the excavated mass graves. 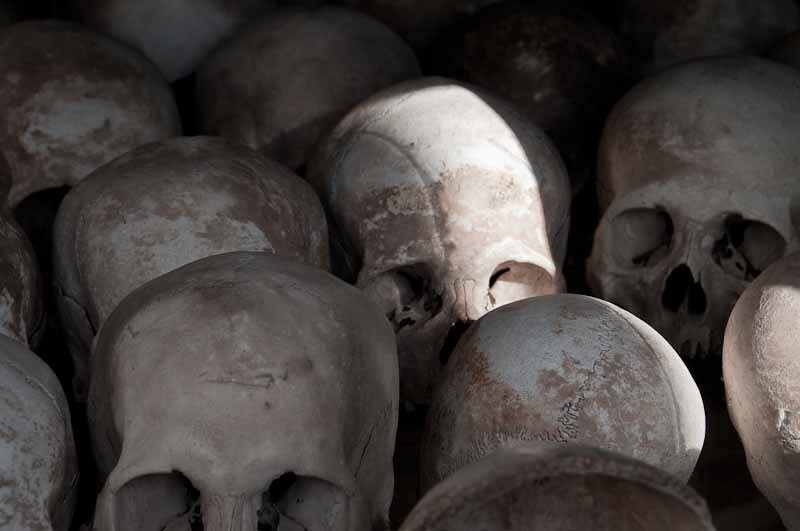 The monument contains hundreds and hundreds of skulls retrieved from the ground. After the fields, we went to Prison 21, an infamous facility in town where people were brought for torture and interrogation. 22,000 people entered, 7 left alive. Prisoners were tortured 3 times a day on a schedule; everyone confesses sooner or later. A VIP cell--lots of space. The prisoner was shackled to the iron bed between beatings. 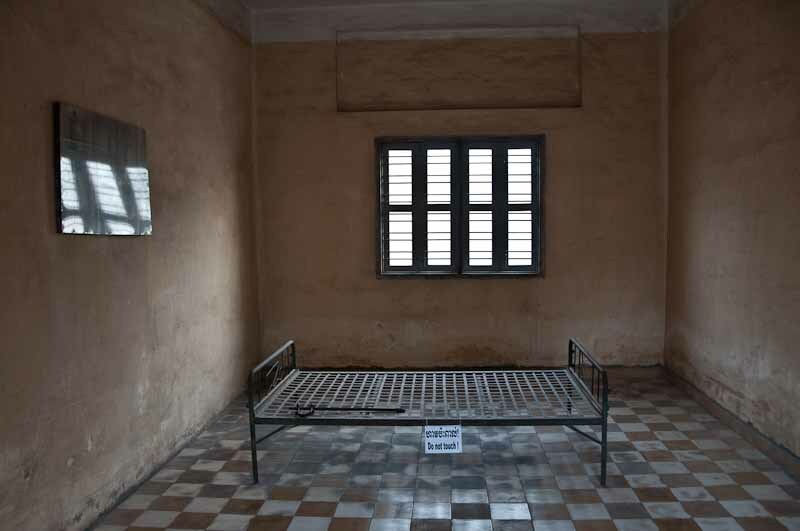 Most of the display in the prison consists of photographs methodically taken by the Khmer Rouge as prisoners were processed in–and many of their corpses as they were processed out. Some people call this “enhanced interrogation”. And once again, history repeats itself. This isn’t the post to talk about what we had for dinner. Travel, as they say, is broadening, but sometimes you have to see things you don’t really want to.